Award-winning play written by Callum McGowan. "Anna and Becca aren't where they're supposed to be. While serving a community punishment order Becca is sent to a hospice to work and meets Anna, a cancer patient. 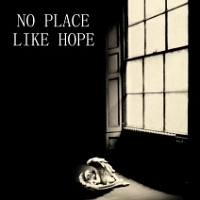 No Place Like Hope shows the beginning of an unlikely friendship, through their conversations, their need for company and for someone to listen. In their honesty towards each other, maybe solace can be found."